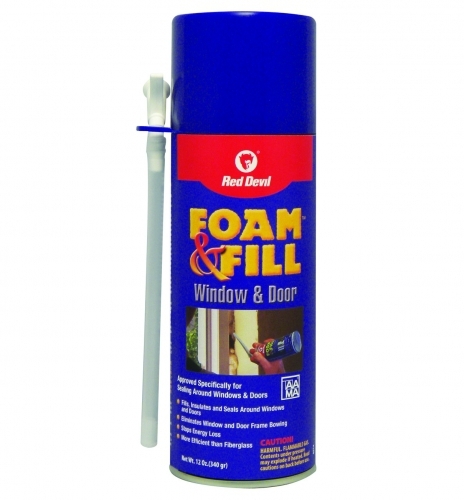 Red Devil Window and Door Polyurethane Straw Foam Sealant is specifically formulated for filling, insulating and sealing around windows and doors. Innovative low pressure and expansion formula eliminates the chance of bowing and provides a full cavity fill. Takes the shape of all cavities forming a permanent, airtight and waterproof seal on wood, metal, masonry, glass and most plastics. It stops air infiltration and in turn prevents heat loss and drafts. 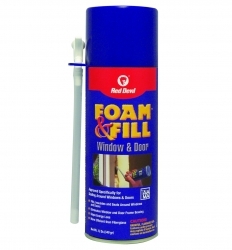 It is environmentally safe, contains no CFCs and HCFCs. It is UL listed and an AAMA Verified Component.